JOIN US FOR THE 2019 SUMMIT! Register now to join 350+ leaders of color in the environmental and outdoor movements on May 8-10, 2019 at the International House in Philadelphia, PA. Registration is now closed! 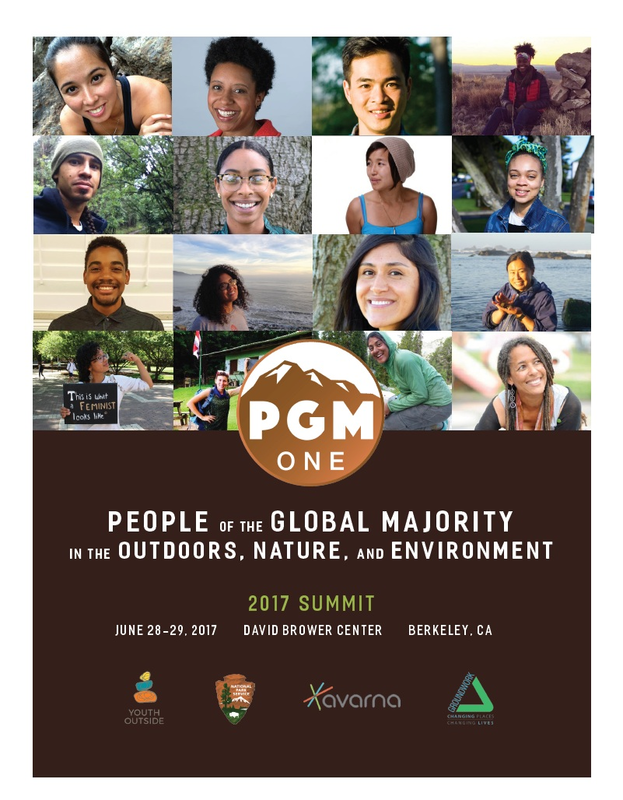 Every year we get many inquiries about whether or not White folks can attend PGM ONE. 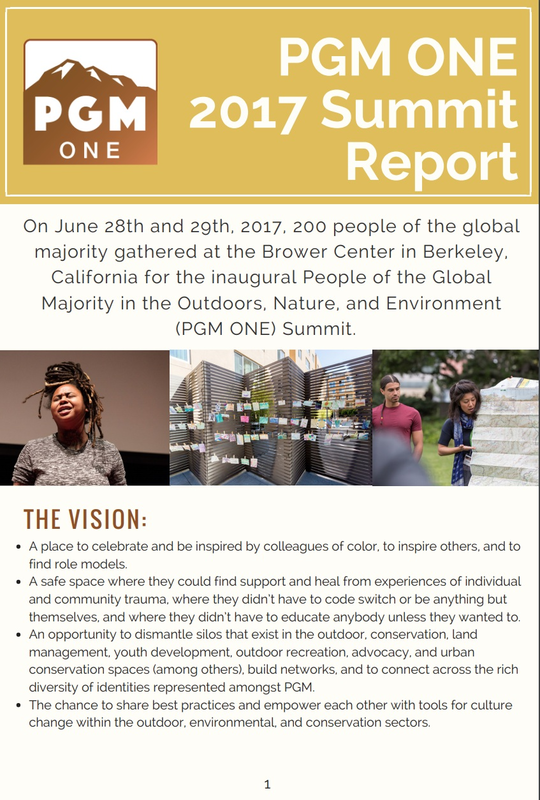 PGM ONE is an affinity space for people of color/of the global majority, which means that it is not appropriate for people who identify as White to attend. Not being able to attend might make folks feel uncomfortable, and yet respecting this space is a huge way in which White folks can support racial equity work in the environmental movement. White people and people of color have work to do together, and work to do apart. For a list of specific ways to support the summit, please click here.